Sorry... the 2017 BMW M2 is no longer being sold as new. Instead, take the first step to a great deal on 2018 BMW M2 with a free price quote! The 2017 BMW M2 is the performance variant of the 2 Series lineup. 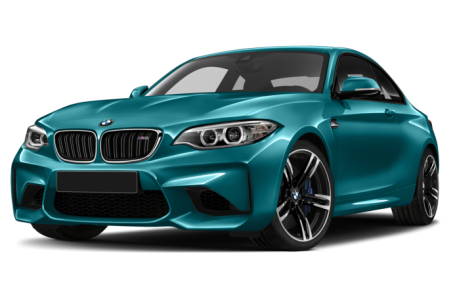 The M2 has more power than its predecessor and a more luxurious cabin, plus aggressive styling that includes three large front air dams, side skirts, flared fenders, a rear spoiler and quad exhaust ports. It comes only with rear-drive, a twin-turbo six-cylinder engine and a choice of manual or dual-clutch automatic transmissions. The optional Executive Package now includes wireless smartphone charging and a Wi-Fi hotspot.